S/ Sgt. 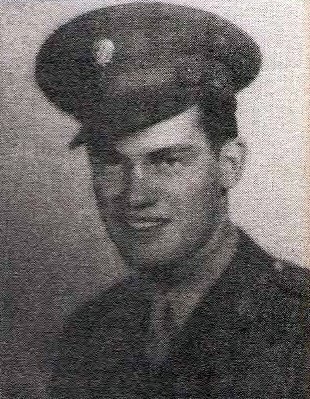 Charles Earl Bridges, son of Mr. and Mrs. J. C. Bridges, Jean. Entered Army AF in 1942, trained at Salt Lake City Air Base, Utah, Truax Field, Wis., Buckly and Lowry Fields, Colo., Kingman Air Field, Ariz., Avon Park, Fla., and Langely Field, Va. Served in Africa, Ialy, France and Germany. POW in Germany for 7 months. Awared Mir Medal with 2 Clusters, GCM, 2 overseas bars, EAME, and 7 Brone Stars. Discharged in 1945.